Hire a private plane and fly to Bangor, a city along the Penobscot River in the Highlands region of Maine. Bangor is known as the “Queen City” of Maine, and it’s one of state’s most popular destinations for charter flights. Air Charter Advisors can arrange for your private jet to arrive/depart using Bangor International Airport (BGR), the main gateway into the city featuring an 11,440-foot runway to handle any size aircraft, and a dedicated helipad for executive travelers. From there, you’ll quickly and discrete board/exit your aircraft via private FBO terminal, and concierge services including luxury ground transportation, helicopter lifts and private yacht charters can be arranged and awaiting your arrival. Our private jet charter brokers are available 24 hours a day and 7 days a week to ensure that all of your needs are met exactly when they need to be, and our hassle-free booking process makes everything easy. We’re transparent, so you know that everything will be as you expect it to be come flight day. Our brokers are Wyvern-certified, and all of the private aircraft we use for charter flights are operated by FAR Part 135 (or foreign equivalent) air carriers. Our experience will ensure that your flight with us becomes the most comfortable and efficient yet, and the list of distinguished clients we’ve flown has grown to included royal family members, elected officials, C-level executives, VIPs/celebrities, athletes, and leisure travelers from around the world. If you want to enjoy the most comprehensive attentive private jet charter experience in the industry, call us at 1-888-987-5387 or contact us for more information and book your private flight to Bangor, Maine. We’re also available to clients interested in jet card memberships, and we offer private plane marketing and management services for aircraft owners throughout New England. Private jets flying to Bangor will arrive using (KBGR) Bangor International, the main entry point to the city complete with 24-hour customs & immigration facilities, and a private terminal. Bangor International is the first airport planes encounter on their approach to the United States from the east, and it’s the last airport seen by planes heading towards Europe, making it an important airfield potential diversions, aviation emergencies, refueling, and security issues. Enjoy a charter flight to Bangor and explore Maine’s “Queen City” using our on-demand private air charter service. 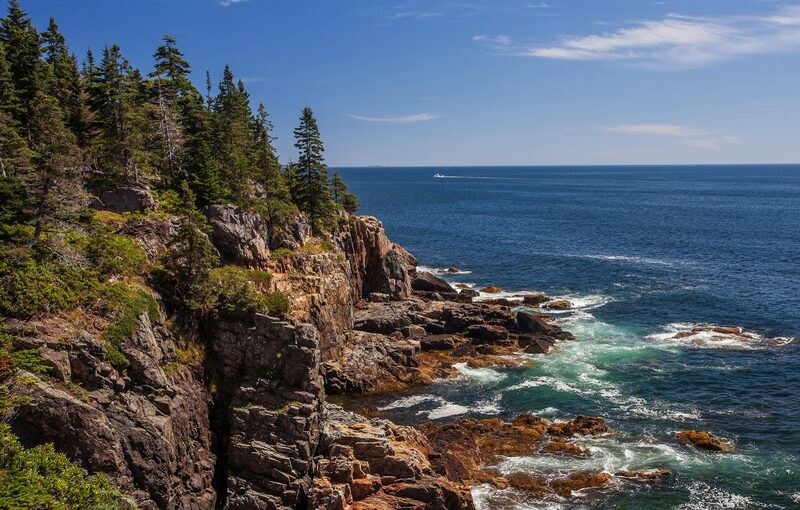 The city is located 40 miles north of Arcadia National Park, a popular Atlantic coast recreation area covering 47,000-acres on Maine’s Mount Desert Island that features some of the most gorgeous coastal views New England has to offer. Although Bangor’s population consists of only around 30,000 people, it’s home to a thriving cultural scene that rivals big cities, even if there’s confusion on how to pronounce it. The final syllable in Bangor is pronounced gor, not ger, and it even got to the point that local officials, journalists, doctors, policemen, photographers, TV personalities and Grammy-winning composers recorded a YouTube video titled “How To Say Bangor” in 2015. Now that we’re clear on how to say it, it’s time to hit the town – downtown and it’s waterfront area are easily explored by foot, and the region features a humid continental climate, with cold, snowy winters, warm summers, leaving plenty of days with comfortable weather in between; May through October typically sees a freeze-free season of 152 days. The city’s early riches as a lumber and shipbuilding center resulted in residents constructing elaborate Greek Revival and Victorian mansions during the 19th century. The lumber barons also built a 31-foot tall Paul Bunyan monument, because why not? 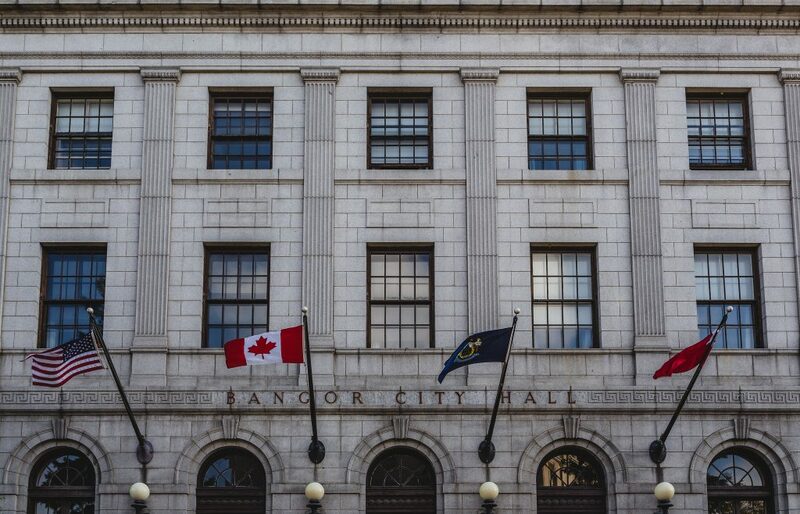 Bangor slowly transitioned from lumber and shipbuilding after they started making silly statues of mythical figures, adding ironworks to its economy; pulp and paper later replaced the lumber industry, as did railroads with shipping, and the city never skipped a beat financially. Today, the local economy is based on services and retail, healthcare, education, and tourism. There are a variety of venues for performing arts, including the Penobscot Theatre Company and Bangor Symphony Orchestra both located on Main Street, while you can head over the Kenduskaeg Stream to Frenc h Street and catch the Ten Bucks Theatre company. Award-winning Horror and Drama novelist Steven King was born in Maine, and has used Maine as the setting for many of his stories, including the Bangor International Airport in his book and TV mini-series The Langoliers. 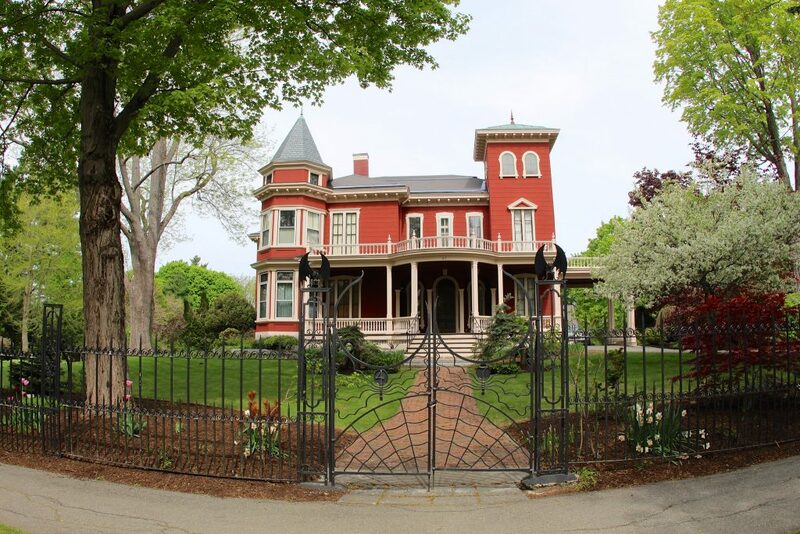 Despite his success, King still lives in his home state, in a rather distinct, Steven King-esque mansion, located just outside downtown on Broadway (pictured above). Sea Dog Brewing Co. is headquartered here, and runs a a 540-seat restaurant and brewpub. Operated by the owners of the Shipyard Brewing Company in Portland, ME, it’s worth a visit to try out their delicious craft ales and lagers, particularly their Blueberry Wheat Ale. Quality Inn at Bangor Mall is the only 4-star accommodation within the city, while visitors can travel south down US1 to luxury hotels such as the Captain A.V. Nickels Inn in Searsport; the Camden Harbour Inn, the Hartstone Inn & Hideaway, and the Grand Harbor Inn in Camden; or the Samoset Resort Golf Club in Rockport. Clients can also travel southeast to Mt. Desert Island to find a variety of 4-star hotels and inns near Arcadia National Park. Book your flight to Bangor with ACA and enjoy access to private planes based throughout New England and around the world. Not limited by fleet, we connect clients to the perfect match for their charter flights to/from any destination around the world, and our access to empty legs planes can reduce your cost by more than 50 percent. All of the planes we arrange for flights to and from Bangor International Airport (BGR) are operated by Part 135 or 121 (or foreign equivalent) air carriers, and we exclusively hire experienced pilots with high levels of flight time. 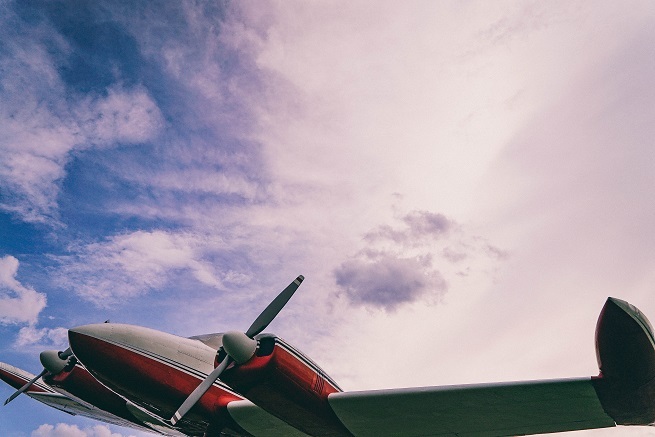 We review third-party audits to ensure every plane and pilots meets our safety standards, and we offer competitive rates without compromising your safety, quality, or comfort. There are 9 more airports located between 20 – 50 nautical miles from Bangor available for your private flight to Maine. Private jet hubs in Bar Harbor, Waterville and Rockland offer 5,000+ foot runways and FBO facilities, while the rest are ideal for charter flights on pistons and turboprops. Call us at 1-888-987-5387 to speak with one of our jet charter brokers about your upcoming flight. Whether you’re flying private for vacation, business, or a special event, our team is available 24 hours a day, 7 days a week for private flights to/form Bangor International and surrounding areas of Maine and New England.